The United Nations (UN) has berated the Nigerian government stating that the suspension of Chief Justice Walter Onnoghen as the head of the judiciary by President Muhammadu Buhari breaches international human rights standard. Aljazeera quoted Diego Garcia-Sayan, the UN special rapporteur on the independence of judges and lawyers, on Monday, February 11, as saying: “International human rights standards provide that judges may be dismissed only on serious grounds of misconduct or incompetence. The report said Diego Garcia-Sayan, mandated by the UN human rights council to investigate legal and judicial independence, lamented that sending judges packing without following the due process is an abuse of the independence of the judiciary. The UN alleged that some of the judges and the defence lawyers involved in Onnoghen's case had been facing serious threats, pressures and interference. Legit.ng earlier reported that the Coalition of United Political Parties (CUPP) accused the National Judicial Council (NJC) of and recommend Justice Tanko Mohammed as the substantive CJN. Reports by Guardian claim that the council had earlier fixed Monday, February 11, to consider responses from Justices Onnoghen and Tanko over the petitions written against them. 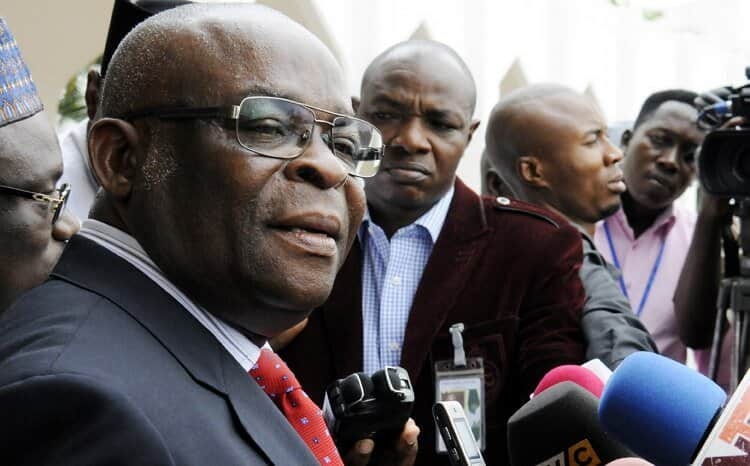 In a statement issued in Abuja through its spokesperson, Ikenga-Imo Ugochinyere, the group said: "The compromised draft resolution contains the decision that the suspended Onnoghen be forcefully retired while Justice Mohammed be confirmed as the substantive CJN. "It also contains the defence of Justice Tanko that as at the time he made himself available in the villa to be sworn in as acting CJN, he did not have much of a choice as security operatives were detailed to bring him to the Villa on his way from the Mosque. "The acting chairman of NJC, Justice Abdullahi has already sealed a deal with the presidency and has already commenced his role of persuading members of the NJC to support the government and adopt the resolution."